Hello my name is Annasha Benn, I am 20 years of age. I live at Grant Wide Garden Lower, Pomeroon River,Region #2, Guyana. I am a Cosmetology by profession. I am associated with the Pomeroon Women Agro-processor Association located on the Essequibo Coast. I was associated with the organization for the past two(2) years as a member. 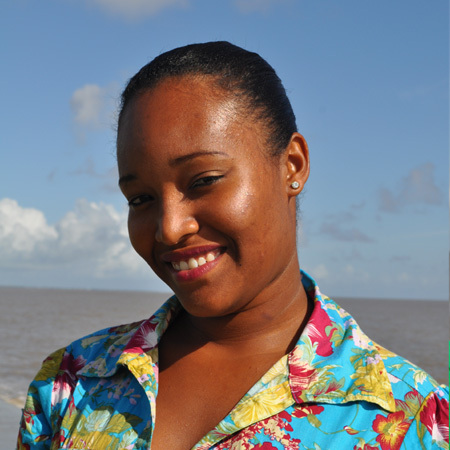 In our organization we have ten(10) members Rosamund Benn is the president for the organization. The Pomeroon Women Agro-processor does production of Pepper Sauce, Green Seasoning, Brown Seasoning Sauce, Carmabola Fruit Mix, Green Mango Achar, and VIRGIN Coconut Oil. These products are all natural and healthy. The Pomeroon Women Agro-Processor Association is also partners of Women’s Agro-processor Development Network (WADN) which is a group of women working with the Caribbean Network of Rural Women Producers (CANROP) to develop Rural Women and their entrepreneurial skills. Hello! I live in New York and I am very interested in purchasing some of the Pomeroon Delight Virgin Coconut Oil. Hoping you can help me with this.